Being a mentalist is more than entertainment. I also have a deep seated interest in science. This documents a mind reading experiment I conducted on friend’s child. It was wildly unsuccessful. Not only were the readings unintelligible (mostly goo-goo and doo-doo and its variations), having not considered that a toddler lacks a grasp of language, but the wires shorted out the whole building. As a mentalist and entertainer, I’m am always looking out for the best interest of my audience. My mentalism demonstrations are designed to delight and inspire. But what can be done to improve your brain when at work? Improving your brain can be as easy as moving your mouse. That is not meant to be an euphemism. I mean your computer mouse. 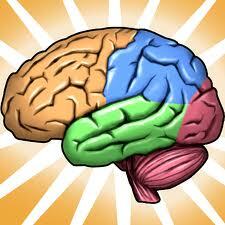 By using the opposite hand you primarily use to move your mouse, you will grow new neurons. Do it right now. It may feel awkward, but that is because you are learning a new skill. You’re welcome. Using the opposite hand to move your “mouse” will also work, but no one need know about it. Please. As a mentalist, I am always seeking new ways to stimulate my great mind. Witnessing my mentalism demonstrations is, of course, not only stimulating, but inspiring as well. While I have been offered the opportunity to be a “house mentalist,” sort of a butler of the brain, this seemed impractical and interfered with my performing schedule. But there are ways for the average person to grow a better brain. For example, many exercises to stimulate the brain involve doing familiar routines in unusual ways. 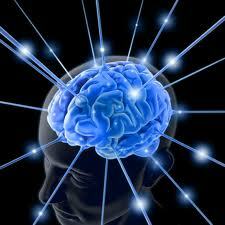 This change challenges the brain, resulting in brain cell growth and the creation of new neural pathways. Such exercises include getting dressed with your eyes closed, and switching to your non-dominate hand for activities such as shaving. While this would result in a better brain, it may also result in disheveled appearance and one’s face looking as if it was on the losing end of a fight with a weed whacker. 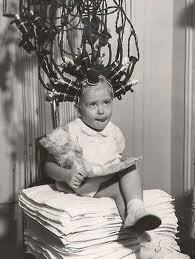 My advice: don’t stimulate the brain in this manner on the night of a formal dinner. And yes, I speak from experience. 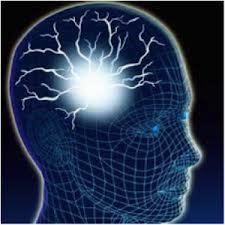 It is generally acknowledged that the brain is the most important part of your body. Some would say that every part of the body is equally important, but that is akin to the parent who says “I love all my children that same” when they clearly favor the one who could play the violin at age 3 over the child who is still eating library paste during breaks as assistant night manager at Kinko’s. The next few blog posts will about exercises to make Your Brain Better. For this exercise, read a book or magazine upside down. Not you physically, although that is not ruled out. By turning text upside down, you challenge the brain when reading. If you choose to be upside down physically, the text you are reading should be upside down. To you. So it might be right side up to someone happening by and wondering why you are reading while hanging by your heels. In any case, your brain will thank you. 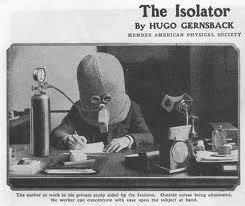 This is a photo of myself experimenting with the isolator. Instead of making me more focused, it bounced my thoughts around the inside of the helmet like bb’s in a tornado. Amusing, but difficult to sort things out from the mess. For a mind not so highly focused and developed to begin with as mine, it might have some utilitarian applications, such as encouraging other people keep their distance from you on a bus. I haven’t been posting, as I have been traveling through the Amazon rainforest seeking a plant rumored to stimulate the brain to such a vibration that it would be able to process information 10 times faster than usual. This would allow you to be more efficient, take in more information, and still have time to watch watch 9 hours of television per day. Unfortunately, if one of those hours is devoted to “Jersey Shore,” the positive effects of the stimulant are rendered neutral. As a mentalist, I hoped that not only would it allow me to process information faster, but allow me to tune into vibrations on new wavelengths. I will test this in the coming months in my shows that feature demonstrations of mentalism. Which, is, of course, all shows. By the way, you don’t have to be a mentalist, or be engrossed in the rigorous study of mentalism to improve your mind. Every time you remember something, or have a new thought, new connections are made in your brain. Simply by reading this, you have a new brain. Welcome to the blog of Sebastian Boswell III, mentalist and entertainer. First things first: I find the word “blog” awkward and would rather not use it. I’d rather call it a journal or notebook or musings. However I realize that is, in fact, a blog, and everyone recognizes it as such. To fight it would be akin to having me insist that apples are to be called “oysters” or “radial tires.” It is a losing battle and would cause nothing but confusion, especially at the farmers market. Copyright ©2012 Sebastian Boswell III. All Rights Reserved.